What is Freight On Board (FOB)? Freight on Board (FOB), also referred to as Free on Board, is an international commercial law term published by the International Chamber of Commerce (ICC). It indicates the point at which the costsFixed and Variable CostsFixed and variable costs are important in management accounting and financial analysis. Fixed costs do not change with increases/decreases in units of production volume, while variable costs are solely dependent on the volume of units of production. 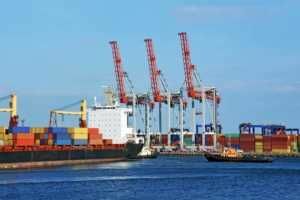 This guide teaches an analyst the fixed vs variable cost methods and risks of shipped goods shift from the seller to the buyer. In modern domestic shipping, the term is used to describe the time when the seller is no longer responsible for the shipped goods and when the buyer is responsible for paying the transport costs. Ideally, the seller pays the freight charges to a major port or other shipping destination and the buyer pays the transport costsCost StructureCost structure refers to the types of expenses a business incurs, and it is typically composed of fixed and variable costs. Fixed costs are costs that remain unchanged regardless of the amount of output a company produces, while variable costs change with production volume. from the warehouse to his store or vendors. The determination of who will be charged the freight costs is usually indicated in the terms of sale. If the Freight On Board is indicated as “FOB delivered,” the seller or shipper will be wholly responsible for all the costs involved in transporting the consignment. Where the FOB terms of sale are indicated as “FOB Origin,” the buyer is responsible for the costs involved in transporting the goods from the seller’s warehouse to the final destination. It is important to note that FOB does not define the ownership of the cargo, only who has the shipping cost responsibility. The ownership is defined by the bill of lading or waybill. The term “freight on board” originated from the days of sailing ships when goods were “passed over the rail by hand,” as defined in Incoterm. The term “FOB” was used to refer to goods transported by ship, since sea transport was the main method of transporting cargo from far countries. The term’s usage has changed since then, and its definition varies from one country and jurisdiction to another. The phrase “passing the ship’s rail” was dropped from the Incoterm definitions in the 2010 amendment. In North America, the term “FOB” is written in a sales agreementSale and Purchase AgreementThe Sale and Purchase Agreement (SPA) represents the outcome of key commercial and pricing negotiations. In essence, it sets out the agreed elements of the deal, includes a number of important protections to all the parties involved and provides the legal framework to complete the sale of a property. to determine when the liability and responsibility for the shipped cargo transfers from the seller to the buyer. When it is indicated as “FOB Origin,” it means that the transfer occurs at the seller’s shipping dock when the goods are safely on board the ship. The buyer takes responsibility for the transport cost and liability during transportation. “FOB Destination” means that the transfer completes at the buyer’s store and the seller is responsible for all of the freight costs and liability during transport. Freight On Board is an international legal term that requires a seller to deliver goods on board a shipping vessel to the buyer. The seller is required to meet his obligations regarding the goods. The costs associated with shipping goods from the seller’s warehouse to the buyer’s store include transport costs to the port of shipment, loading goods onto a shipping vessel, marine freight transport, unloading costs, insurance, and costs of transporting the goods from the arrival port to the final destination. Under FOB origin, the buyer/receiver of goods will pay for all the above costs associated with transporting the goods. For example, if a buyer in Vancouver buys basketball shoes from a seller in Chengdu, China, he must pay for the transport costs from the seller’s warehouse to the port, cost of loading goods onto a ship, and all transport costs from the shipping port to his warehouse/store. The buyer also assumes the risk of transporting the goods from China to Vancouver, and he must purchase an insurance cover for the goods in transit. FOB Origin, Freight Prepaid: Means that the seller/shipper pays the cost of shipping while the buyer/receiver of goods assumes the responsibility of goods at the point of origin. FOB Origin, Freight Collect: The buyer pays for freight and shipping costs, and assumes full responsibility for the cargo. FOB Origin, Freight Prepaid, & Charged Back: The seller does not pay the cost of shipping, but instead adds the freight costs to the invoice sent to the buyer. The buyer pays the bill on a more expensive invoice since the freight costs were included on the invoice. The buyer also takes ownership of the goods and assumes liability at the point of origin. FOB Destination, Freight Prepaid: The seller/shipper pays all the shipping costs until the cargo arrives at the buyer’s store. The buyer does not pay any shipping costs. FOB Destination, Freight Collect: The receiver of goods (the buyer) pays the freight charges upon delivery of the goods. The buyer does not take ownership or liability for the goods until the cargo gets to the buyer’s premises. FOB Destination, Freight Prepaid, & Charged Back: The seller takes responsibility for freight until delivery of the goods, and the buyer deducts the charges from the invoice. The original invoice includes the freight charges initially paid by the seller. FOB Destination, Freight Collect, and Allowed: The shipper adds the freight costs to the invoice, and the buyer pays the charges. The seller assumes the responsibility for the cargo until delivery. Both Cost, Insurance, and Freight (CIF) and Freight on Board (FOB are international shipping terms used in the transportation of cargo from the seller to the buyer. Although both terms are used in a similar manner, their definitions vary from country to country. In CIF agreements, the costs of transporting goods from the seller to the buyer are assumed by the seller. The seller pays insurance, transportation costs, and other costs associated with the transit of goods until the buyer takes possession of the goods. Thank you for reading CFI’s gide to FOB. For more cost information, CFI recommends the following free resources.